The woman, named locally as Frankie Gonsalves, reportedly works for the St Helena government. 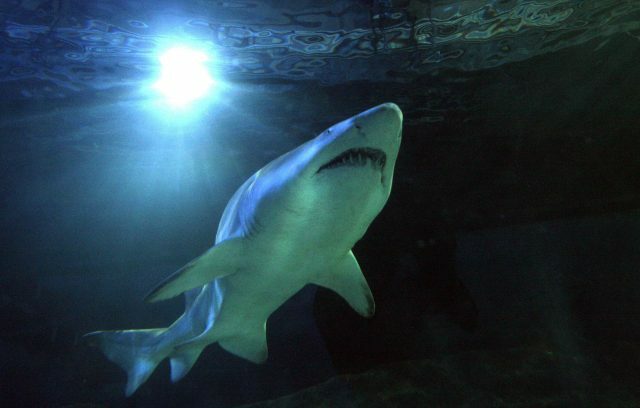 A British woman injured in a shark attack while swimming off the beach of a British island in the South Atlantic has been named locally as Frankie Gonsalves. The woman, who works for the government of Saint Helena, was attacked while swimming off Ascension Island, a government spokeswoman said. She said she believed the woman had been living on Saint Helena island, part of the same British overseas territory, with her husband and children. The victim was treated at a nearby hospital before being flown to the UK for medical treatment, she added, but could not confirm the state of her injuries. A source told the Times newspaper the woman was bitten in the leg and that her husband punched the shark in a bid to protect her. The attack is thought to have happened on the afternoon of Friday April 21, and the island council issued a public warning to swimmers. Saint Helena, Ascension Island and Tristan da Cunha are a trio of remote islands between South America and Africa and together form one of Britain’s overseas territories. Travel to and from Ascension Island is via the RAF’s Brize Norton base in Oxfordshire, according to UK Government travel advice. It is not known where Ms Gonsalves is said to have been flown to.